Nicholas Carr is an acclaimed writer on technology, economics, and culture whose books have been translated into more than twenty-five languages. He is the Richmond Visiting Professor at Williams College. 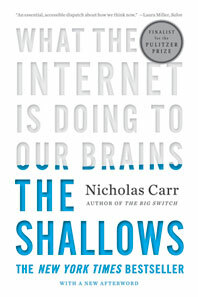 Carr’s 2010 book The Shallows: What the Internet Is Doing to Our Brains was a Pulitzer Prize finalist and a New York Times bestseller. Now hailed as “a modern classic,” The Shallows continues to be a touchstone for debates on technology’s effects on our thoughts and perceptions. His 2014 book The Glass Cage: Automation and Us, which the New York Review of Books called a “chastening meditation on the human future,” examines the personal and social consequences of our ever growing dependency on computers, robots, and apps. His latest book, Utopia Is Creepy, published in 2016, collects his best essays, blog posts, and other writings from the past dozen years. The collection is “by turns wry and revelatory,” wrote Discover. 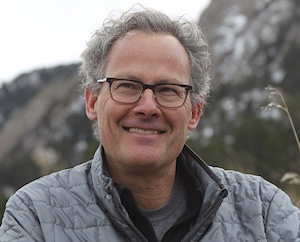 Carr is also the author of two other influential books, The Big Switch: Rewiring the World, from Edison to Google (2008), which the Financial Times called “the best read so far about the significance of the shift to cloud computing,” and Does IT Matter? (2004). Carr is a former member of the Encyclopedia Britannica’s editorial board of advisors, was on the steering board of the World Economic Forum’s cloud computing project, and was a writer-in-residence at the University of California at Berkeley’s journalism school. Since 2005, he has written the popular blog Rough Type. Earlier in his career, he was executive editor of the Harvard Business Review. He holds a B.A. from Dartmouth College and an M.A., in English and American Literature and Language, from Harvard University. In the early 1980s, Carr was a founding member of the universally unnoticed Connecticut punk band The Adrenalin Boys.